Researchers at The University of New Mexico are wading through one of the state’s most prolific problems: water resources. Interdisciplinary researchers from across campus published a report titled “New Mexico Water: What Our Next Leaders Need to Know” to help the new administration in Santa Fe navigate the issue. The report, sponsored by the UNM Office of the Vice President for Research, Center for Water and the Environment, Utton Transboundary Resource Center and UNM Water Resources Program, summarizes the results of a UNM-sponsored conference held in summer 2018 that showcased the expertise of local, state and national leaders. 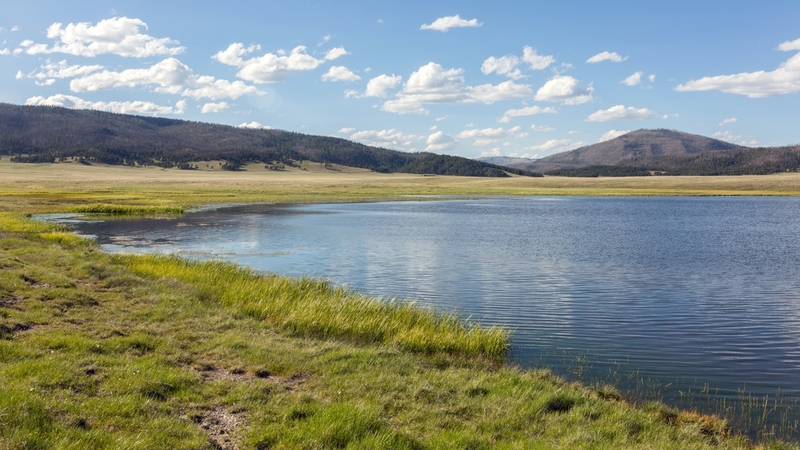 It outlines the major water and environmental challenges facing New Mexico and makes recommendations on how policy makers should address them. “We were very excited to draw on the wisdom and experience of nine senior level administrators who, between them, have more than 75 years of service in senior level appointed positions requiring state or federal senate approval.” said Bruce Thomson, research professor in UNM’s Civil Engineering Department and chair of the conference organizing committee. The conference, attended by more than 275 people, consisted of four sessions, and allowed panelists and the public to discuss water and environmental challenges facing the state. One session featured presentations and discussion by administrators with federal experience, while a second session allowed administrators with state experience to present their ideas. The final session consisted of remarks by Mike Connor – a former deputy secretary of the Department of Interior and former commissioner of the Bureau of Reclamation.